Deep in pockets of the rural South, there's a secret problem no one is talking about - hog-dog fighting. It's a gruesome practice in which spectators flock to organized events, place bets on animals, and then watch as dogs and wild hogs are made to fight to the bloody death. But rescuers from the Humane Society of the United States (HSUS) are trying to do something about it - by saving one dog at a time. "We first started finding out about it 15 years ago," HSUS's Chris Schindler, senior manager of animal fighting response, told The Dodo. The hog-dog fights were advertised as "family entertainment" and are often referred to by participants as "rodeos." "This [hog] is basically being ripped apart by dogs," Schindler said. "People would bring children." Thanks to advocacy efforts, a handful of states have banned the practice and Schindler has seen a drop in cases over the past 10 years. But this January, his team got a call that someone in rural Alabama was allegedly breeding dogs specifically for hog-dog fights. Schindler and his fellow rescuers showed up at the property and stumbled onto a tragic scene. Sixty-five dogs, from puppies to seniors, were living on a ramshackle property - they had no warm beds, no indoor place to sleep and barely enough food to survive. Every single one of the dogs were severely underweight. "The pictures look horrible but they don't do it justice," Schindler said. "They were just skeletal." 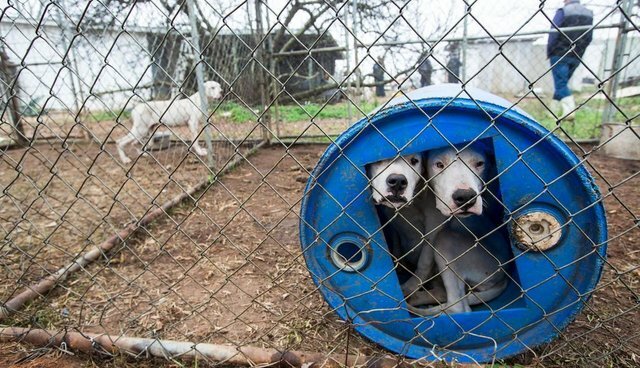 Instantly, Schindler's mission changed from shutting down a hog-dog fighting ring to saving the lives of these desperate dogs. One in particular stood out to him: a sweet old girl whom they would name Violet. "Violet was the first dog to approach [us]," he said. "She came up and led us, shepherded us through the other dogs ... she kept looking back to make sure we were following her." 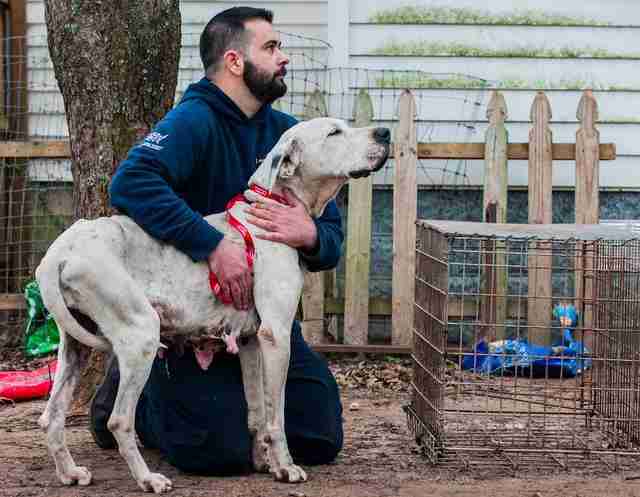 Schindler and his team spent days rescuing the dogs - taking them first to a temporary HSUS shelter and then on to a network of other shelters and rescues. Of those 65 dogs, some are still waiting for adoption but many are already in their forever homes. Violet has made a spectacular recovery and has won over her foster family - so much so that they just might keep her forever. "She's very loved now," Schindler said, adding that seeing the transformation of the rescued dogs is "incredible." 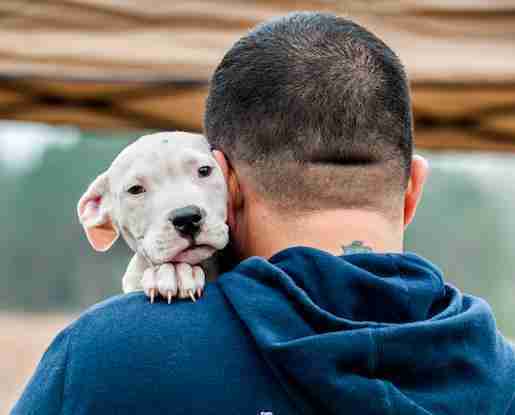 By saving these 65 dogs, Schindler and his team of rescuers may have shut down a pipeline into the cruel and hidden practice of hog-dog fighting. But, he says, there's much more work to be done. "If someone had 65 dogs allegedly for this purpose, clearly there's a bigger issue below the surface," he said. Learn more about HSUS's work to end hog-dog fighting here.